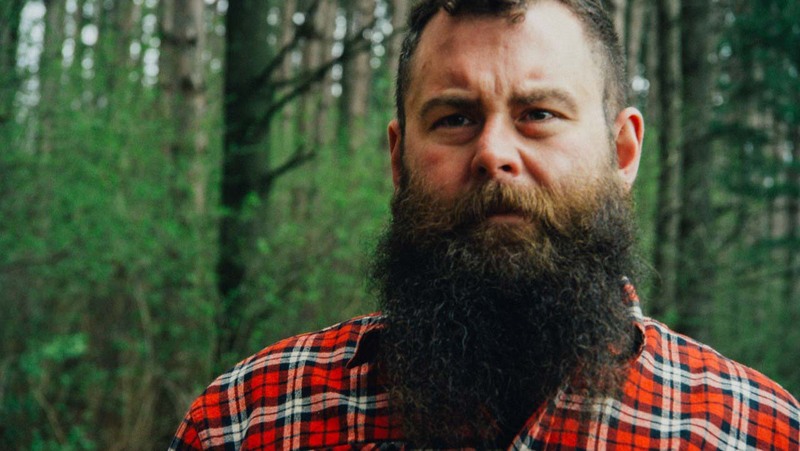 Known as some of the toughest men in the country, the lumberjack lifestyle has been a part of American culture for over a century, reaching as many as 500,000 lumberjacks in the forests of Maine and Minnesota in the early 1900s. 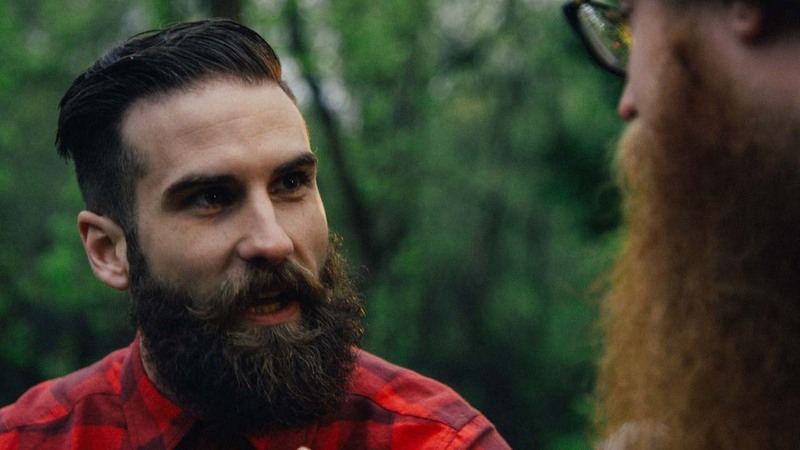 However, the lumberjacks many people think of today are not the typical axe throwing, wood chopping or crosscut sawing burly men of the logging world, rather, they are now typically spotted in a fitted flannel and trendy lace-up boots with freshly trimmed beards to match: the lumbersexuals. As part of the Dinty Moore® brand campaign to bring back the true lumberjack, Hormel Foods went to the depths of Minnesota in search of a team of lumbersexuals to transform into real lumberjacks and, ultimately, compete in a professional lumberjack competition this summer. 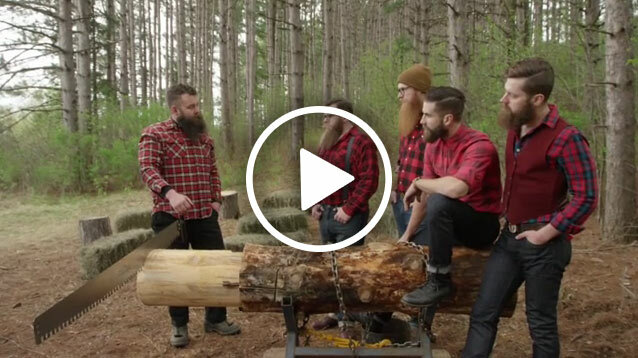 The brand is partnering with STIHL® TIMBERSPORTS® and professional lumberjack Adrian Flygt to train the lumbersexuals in core areas of logging and forestry, giving them the necessary skills to walk, talk and compete like a lumberjack. 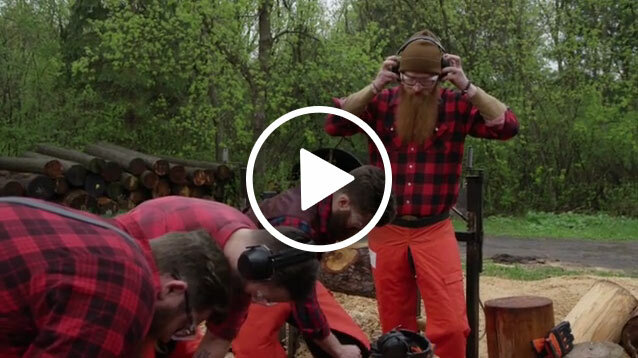 With the official lumberjack training completed this spring, the lumbersexual team—Lumber Michael, Lumber Jamin, Lumber Ben, and Lumber Ian—will now move on to compete at the STIHL® TIMBERSPORTS® Series U.S. 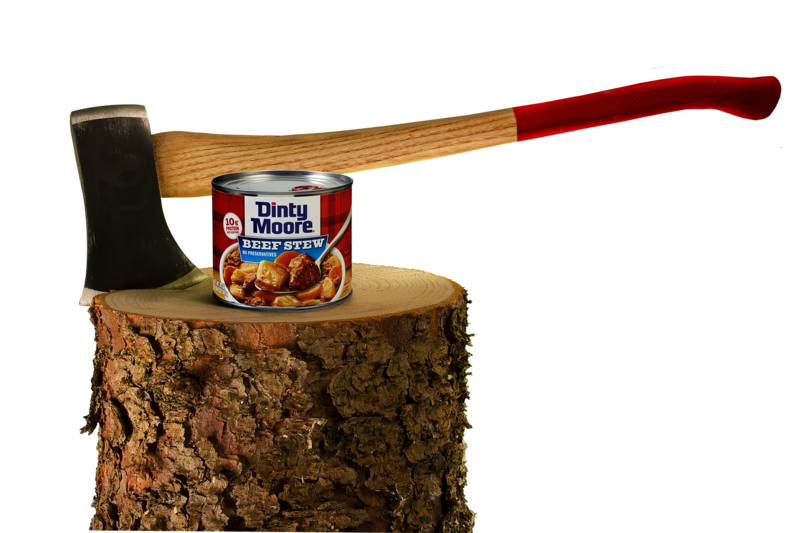 Pro and Collegiate Championships on July 15 in Chicago Southland, sponsored by the makers of Dinty Moore® beef stew. 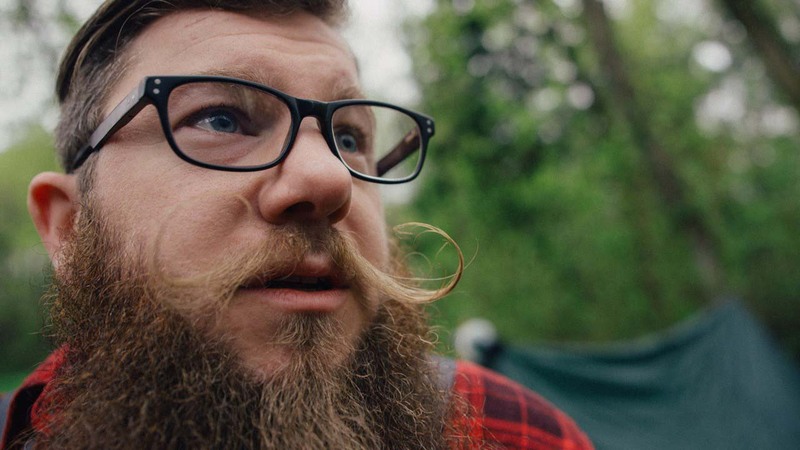 Making significant progress from when they began their transformation, these lumbersexuals are not afraid to get their hands dirty—just not their hair. The STIHL® TIMBERSPORTS® Series—The Original Extreme Sport—pits the top lumberjack athletes from across the country in grueling and thrilling axing, sawing and chopping competitions. Introduced in 1935, Dinty Moore® beef stew is an American classic and remains the No. 1 selling canned stew in the nation. Today, from cupboard to table in minutes, Dinty Moore® canned and microwavable products are great tasting, well-balanced meals that will satisfy the whole family. 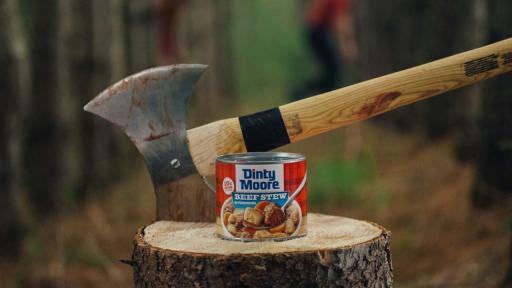 For more information about the journey to becoming a true lumberjack with the makers of Dinty Moore® beef stew, visit MooreJacks.com and join in the #MooreJacks conversation on Facebook, YouTube and Twitter. Fans can also follow the STIHL® TIMBERSPORTS® Series U.S. Pro and Collegiate Championships event through Facebook, Twitter, Instagram and YouTube. Tickets for the Championship are complimentary, and fans can make reservations for theirs by visiting TinleyParkConventionCenter.net or calling 708-342-5485, ext. 1. Hormel Foods Corporation, based in Austin, Minn., is a multinational manufacturer and marketer of consumer-branded food and meat products, many of which are among the best known and trusted in the food industry. Hormel Foods, which leverages its extensive expertise, innovation and high competencies in pork and turkey processing and marketing to bring branded, value-added products to the global marketplace, will celebrate its 125th anniversary in 2016. The company is a member of the Standard & Poor’s (S&P) 500 Index, S&P 500 Dividend Aristocrats, and was named one of “The 100 Best Corporate Citizens” by Corporate Responsibility Magazine for the eighth year in a row. Hormel Foods also received a perfect score on the 2016 Human Rights Campaign Corporate Equality Index, was recognized on the 2016 Best for Vets Employers List by Military Times, and was named one of the 2016 Best Companies for Leaders by Chief Executive Magazine. The company enjoys a strong reputation among consumers, retail grocers, foodservice and industrial customers for products highly regarded for quality, taste, nutrition, convenience and value. For more information, visit http://www.hormelfoods.com and http://2014csr.hormelfoods.com/. STIHL Inc. manufactures the world’s largest selling brand of chain saws and produces a full line of powerful, lightweight, and versatile handheld outdoor power equipment for homeowners and professional users. STIHL products are sold through independent servicing power equipment retailers from coast to coast – not mass merchants. STIHL products sold through U.S. STIHL dealers are for distribution in the United States only. For more information or for the name of the closest STIHL retailer, call toll free 1-800-GO STIHL (1-800-467-8445) or visit STIHL’s website at www.stihlusa.com. STIHL Inc. is the official underwriting sponsor of the STIHL® TIMBERSPORTS® Series. The Series airs throughout the year on ABC, and is the pinnacle event in lumberjack sports. 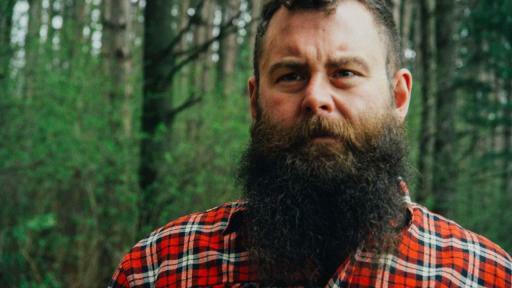 Since 1985 the Series has grown to become the premier showcase of the decades old sport of lumberjacking with competitions held around the world.